I made some simple interactive check lists for the kids. All the chore charts or checklists I found already had pre-created lists or task cards. 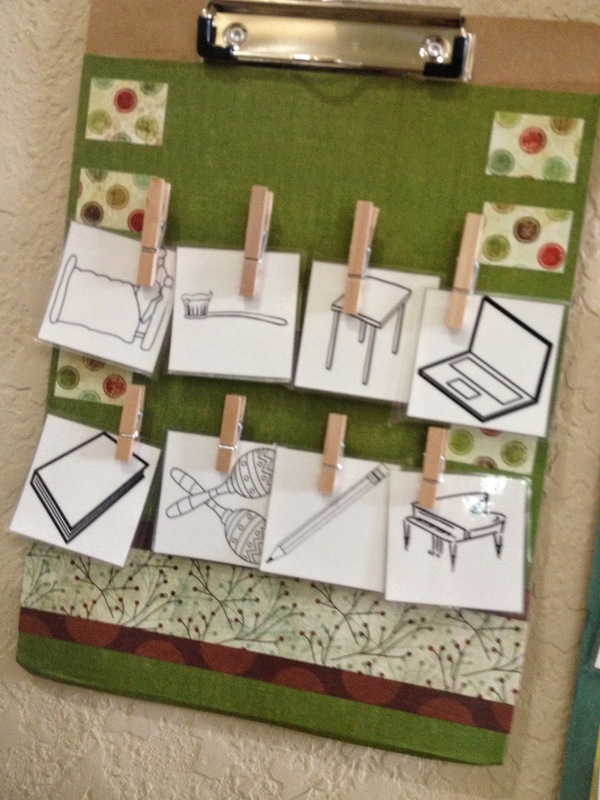 Some of them didn’t fit our family and I wanted the flexibility to be able to change out the chore and task cards easily. So, I made interactive checklists with some inexpensive clipboards. I cut the scrapbook paper to cover the clipboards and then cut designs to decorate each board. I used Mod Podge to glue on the scrapbook paper and then seal the top of the clipboards. Then I used super glue to attach the small clothes pins to the boards. My kids each have their own board with task cards. These are jobs or tasks that they are to complete daily. Once each task is done they turn that card over and clip it back to their board. By the end of the day each card should be flipped over. In the morning we turn them back over to start our new day. For the younger kids I printed small pictures on cardstock and cut those out for my cards. For my oldest child I used words rather than pictures. 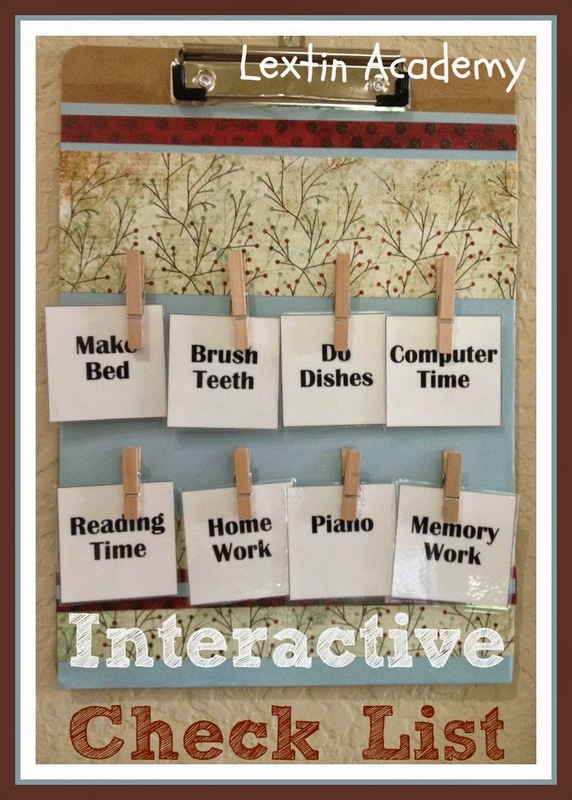 Do you have a chore system for your kids? I'm hoping we can stay more organized this way! I can't always be reminding my kids for each thing – because I'm always forgetting and it is overwhelming to try to remember for each person!